Welcome to the Ould Lammas Fair, a celebration unparalleled in Irish culture and an event which has for hundreds of years attracted tens of thousands of people to Ballycastle to savour and enjoy the oldest surviving such event in the British lsles. Although much has been written about the origins of the Fair down through the ages, there still remains some doubt as to the actual date on which it all began - perhaps it is this uncertainty which gives the Ould Lammas Fair that special magic which has failed to diminish in modern times. The Fair is traditionally held on the last Tuesday of each August and is truly a great "old time" festival, the main characteristics of which have been preserved. One theory as to the origin of the Fair is that it all began with the occupation of the Route and Glens of Antrim by the powerful MacDonnell clan ol the Scottish lsles. In the early part of the 16th Century, the MacDonnells chose the region where Ballycastle now stands as its headquarters. At that time Ballycastle was known as Port Brittas, now marked by the present boat slip in the habour. Convenient to Port Brittas and within the existing town's boundary, the MacDonnells set up their stronghold in Dunanynie Castle. It was at Dunanynie that the greatest MacDonnell chief of them, Sorley Boy MacDonnell, was born in the early 1500s and where he was to die in 1590. Dunanynie dominated Ballycastle bay. It was Sorley who provided the first stop-off point for the many settlers from the Isles and Glens, particularly in times of hardship for the MacDonnells in the south of Scotland. The significance of Port Brittas was strengthened with a fierce feud between the MacDonnells and the McQuillans in the middle of the 16th Century for possession of the area known as the Route. 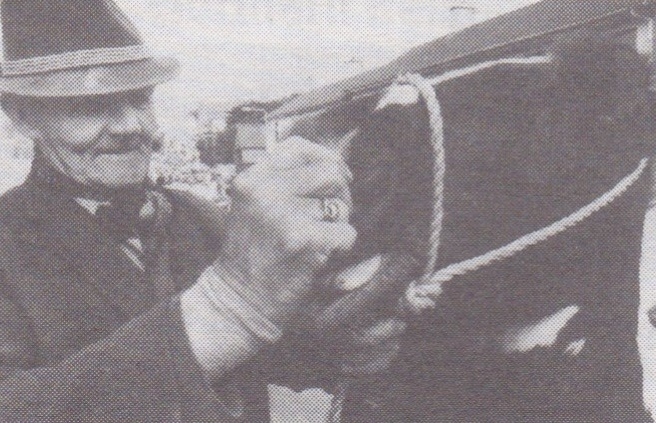 During the harsh winter months, the MacDonnell forces relied on supplies landed at Port Brittas before the on-set of winter. Dried fish, grain, wool, clothing and other commodities were brought ashore to tide the forces of the clan over the bleak winter months. The importance of Port Brittas as a military supply route diminished signif icantly as the MacDonnells became firmly established in the fertile Route. Nevertheless, trade continued on a smaller scale, and the inlet became a centre for barter between the clansmen and their kinslolk in the northern Glens of Antrim. More important, in relevance to the development of the present Fair, Sorley Boy MacDonnell ordered the staging of public games at Ballycastle to celebrate the coming of age of his nephew Gillaspic, son of his brother Colla of Kinbane. ln 1606, Sorley Boy's son, Sir Randall MacDonnell obtained a charter to hold six fairs annually at Dunanynie, one of which was to be held on the last Tuesday of August. Translated, Dunanynie means "Fort of the assembly or fair" and such events were traditionally held to the south of the old fortress. Diamond, the fairs are centred each year. Another puzzle in the origin of the Fair is the date chosen to celebrate it, August 1 being Lammas Day. Lammas Day is one of the regular quarter days in Scotland and in England it was the day on which, in Angle-Saxon times, the first fruits were offered. A reasonable explanation is that because of the climate in the Glens crops could not be harvested as early, thus delaying a celebration nearer Lammas Day. Whatever the origins of the Fair, its importance has not weakened, although the trading nature of the Fair is not as dominant now as in latter days. Without modern transportation and communications, the role that the Fair played in a predominanlly rural community can not be underestimated. It was, and is, the highlight of the year for many people who rely on a trip to Ballycastle to carry out essential business and rekindle old acquaintances. Indeed, within living memory, the inhabitants of Islay, descendants of the 16th Century clansmen, sailed the 40 miles to Ballycastle in "luggers", bringing large supplies of dried fish to the fair. The men of Islay have long since stopped making their long journey and nowadays the demand is more for modern entertainment than dried fish. 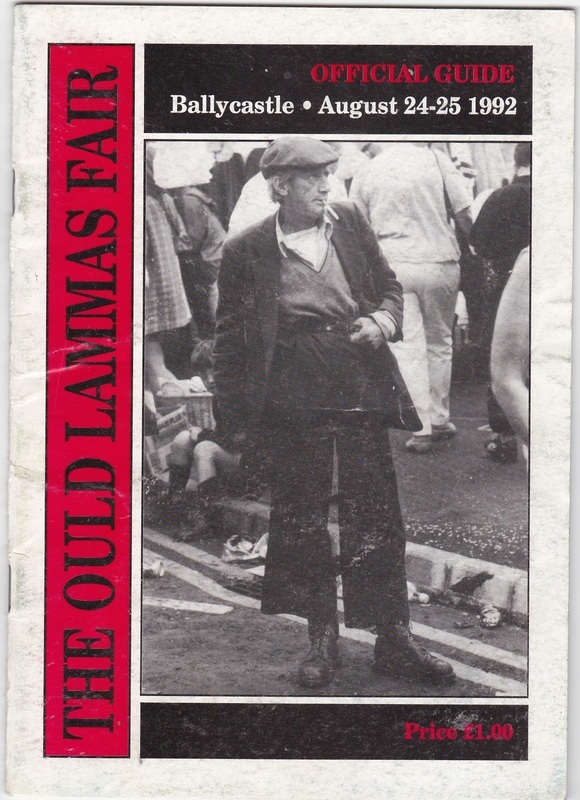 Yet despite the changing faces, the Ould Lammas Fair still caters for all tastes and the fun on offer has changed little since the days that the MacDonnells and glensmen gathered in the ancient bay. 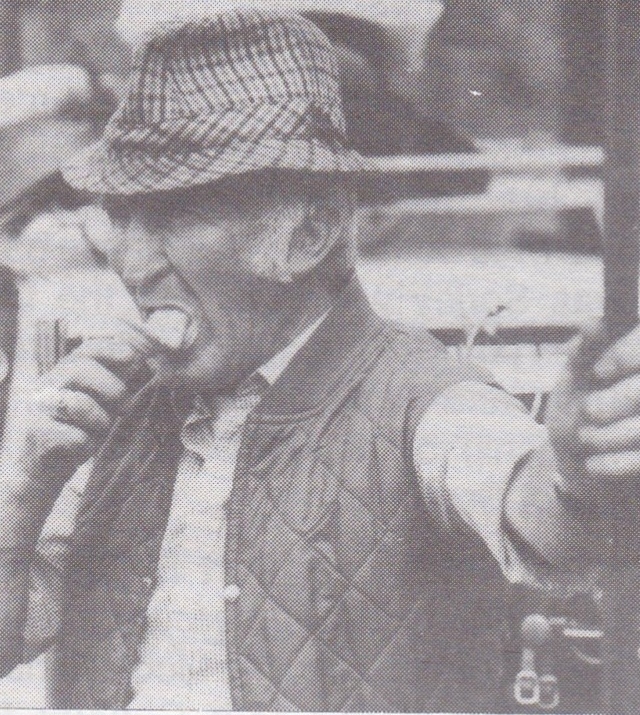 Whether you are here to sell a horse or here to enjoy traditional tastes of dulse and yellowman, you can be sure of a unique experience at the Ould Lammas Fair in Ballycastle.